I finally got around to doing the "Tony Test" GOM reset. I got 138 miles. I have had the car for 42 months and 37,000 miles. The car was manufactured in 11/2012 according to the information plate at the bottom right of the driver's door opening. I just did an Extended charge about 7 hours after a Standard charge. It added 6 kWh in 47 minutes. That was more than I expected. Of course, that is energy from the wall, but it's still a lot of battery energy in the Extended portion. I have nearly 45,000 miles on the car now. That's a pretty solid battery. Finally found the time to get this test done, did extended charge from 70% or so SOC to full on the 120v trickle charger, unplugged the battery for about an hour (all the time I had) and upon reconnecting saw 139mi on the GOM. 139/146 = just over 95%. Car has 34.5k miles on it and outside temp was approx. 75°. Seems to fall in line with miimura's results above. One question, when I turned A/C to Eco Hi, the GOM dropped to 107. Is that just because we've reset the computer, or does the A/C really kill that much range? The deduction for the A/C is also reset. No, Eco-Hi should not actually take that much. Deduction should adjust back to what it was before the test in a week or two. I have stopped using eco A/C in the Summer as it has been said the standard mode provides better battery cooling. Finally did Tony test on replacement pack done at 71k miles. Have almost 9k miles since and am running at 141/146 or 3.5% degradation. Happy I didn't get a refurbished pack with more than 10% lost. How did you get a replacement battery pack? Warranty replacement. Low voltage on string, would shut down car. Had to tow it to dealer 3 times. Took to dealer 5 times over two weeks they cleared errors and would send me on my way but next day when trying to start it wouldn't start with EV system error. 2012. 35.4k Miles. Lived in Denver since 2015 and about 22k miles. Perhaps used Extended charge a half dozen times since I bought it (at 22k miles). 132 miles after balancing overnight. 90.4%. I was hoping for a bit more based off of others’ results but that’s what it showed. 10% over 22k miles isnt wonderful but it could be worse if it were left fully charged unused. The Rav only has battery temperature management if it is on or charging. I would've preferred that it was higher but I honestly expected it to be a little worse. Adding a data point, but also have a couple of questions. Purchased a 2014 Rav4 EV from original owner; approximately 32,000 miles. Did the Tony test and was a little disappointed that it came in at 130 or about 89%. Can someone clarify about the battery and ambient temperatures comment? 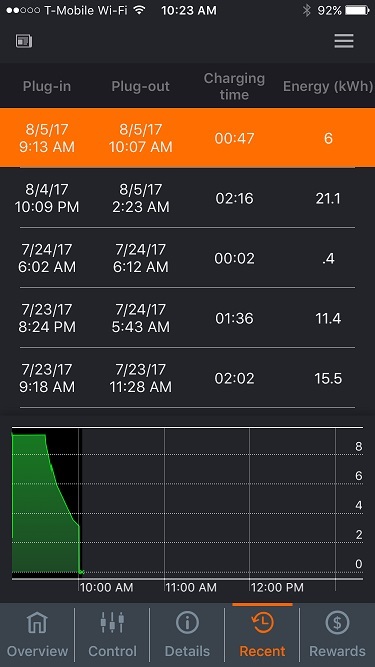 Is the overnight step the one that allows the cooling, or are the steps indicating that one should charge using extended charge, THEN allow it to sit and cool (then I assume try to charge some more) -- all before the overnight step? I did something in between, I suppose. Charged to standard level, then let sit for a few hours, then charged to extended level in the evening before disconnecting the battery and allowing it to sit overnight. Any insight would be appreciated. So if the car says it needs 3.5 hrs to charge to full, but I only want to charge it 2 hrs overnight, I would just set the departure time for 1.5 hrs after my intended departure time. Is it worth the effort, or is it not going to help the battery life any more than just charging to standard "full" level every time I feel it needs to charge? Is it a BAD idea to be regularly unplugging when the car is in an active charging mode?